Here are some of the child-friendly tourist resources that we think you should know about. Tourism Vancouver: Everything you need to know about Vancouver. The Vancouver Trolley Company: A 23 stop tour of Vancouver with full commentary. Alfred’s Guest Services: Private tours of Vancouver. Kids Only Market: A wonderful, magical place for kids. Camelot Kids: One of the best toy stores in the city, full of award-winning toys. Hip Baby: Gorgeous sustainable and organic kids clothing and accessories. Tourism Toronto: Everything you need to know about Toronto. Help We’ve Got Kids: Toronto’s online directory for kids and families. KiddingAroundToronto.com: A fabulous kid-friendly calendar of events in Toronto. JetSetBabies: Ships diapers, food and infant formula to your destination. One Tiny Suitcase: Rents premium baby equipment to visitors of Calgary and Edmonton, Alberta. Have Baby Will Travel: A site full of travel tips on trips. 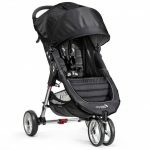 Baby-equipment-rental.com: A world-wide listing of rental companies. Ciao Bambino: A guide to worldwide, family-friendly hotels, resorts, and vacation properties. 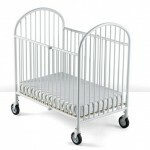 Sweet Pea Baby Equipment Rentals: Baby Equipment Rentals in Scottsdale and Phoenix. Baby Holidays:Worldwide delivery of baby essentials to your hotel. Based in the UK. Travel Mamas:A site for anyone who wants to travel with children and stay sane! Travel for Kids: Fun things to do with kids in every city. The Modage: Kid-friendly vacation rental in Vancouver. Located in Kitsilano, this beautiful townhouse comes complete with baby gear and is just a few blocks from the beach. The Fairmont Royal York Hotel: One of the finest hotels in Toronto, the Fairmont Royal York is at the center of it all, and just steps away from the theater, entertainment and financial districts, shopping, sightseeing, and world-class sports facilities. The Sutton Place Hotel: Offers bedroom units plus fully equipped kitchens and living rooms Some units are “Pet Friendly” so even your pet can enjoy the family vacation! The Meridian 910 Beach Hotel: Offers you all the comforts of home. Each room includes a fully equipped kitchen, a bistro-sized dining table and chairs, laundry facilities and a daily continental breakfast. Time Square Suites: An all suite hotel perfectly located around the corner from Stanley Park. Rosellen Suites Studio, one bedroom and two bedroom suites at the edge of Stanley Park. EcoLoft: Laneway house located in East Vancouver. Wee Travel Vancouver offers free delivery to this location.